We have two Villas for Guests: Click the Rentals Button to the left of this page and select either Villa #65 or Villa #71. Read and compare what they offer and make note of their rates. Email Tom and Susan and request the months you wish to reserve, noting which Villa. When we respond and confirm availability and rate, we'll HOLD the dates for you for 24 hours to give you time to sort out your travel arrangements and provide a $500 US refundable Damage/Cleaning Deposit through PayPal. When we receive the $500 US Deposit, we'll send you confirmation and attach a Rental Contract by email. You are not required to return the contract, but you will be asked to print it and bring it with you. You'll be asked to sign it and give it to the Property Manager when you check into the Villa. First, contact Tom or Susan, emailing rentals@dugrene.com, requesting the months you would like to reserve Villa #65 or Villa #71. When we respond and confirm these months, we'll ask you to provide a $500 Damage/Cleaning Deposit through PayPal. Click on the PayPal Button below to make Payment. Upon arrival to check in, you'll be asked to provide the first month's rent by personal check (cheque) or in US cash, You'll be asked to pay the rent for each subsequent month on the first day of the month. A view of the Community Pool at night. 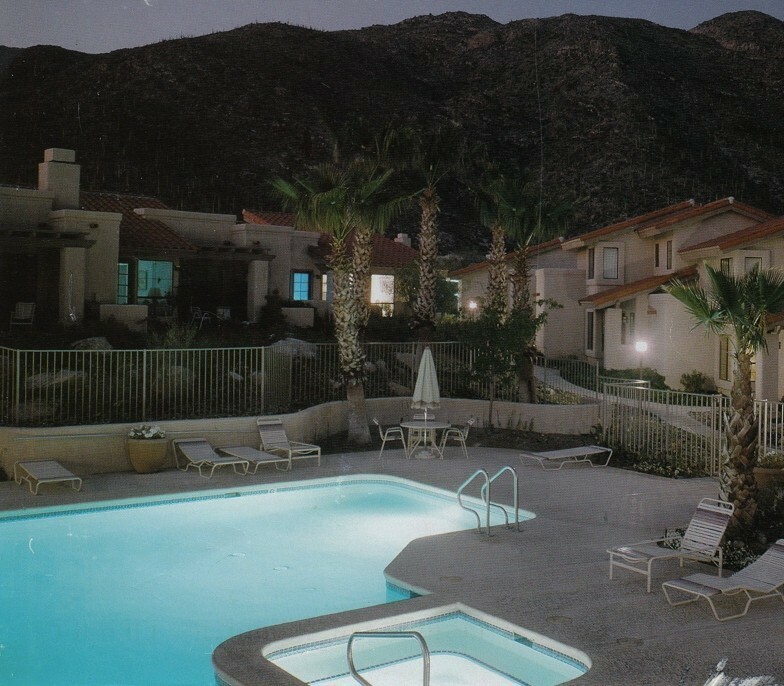 You'll enjoy the Community Pool, Jacuzzi and Club House when staying with us. We are located 10 miles (16 km) north of the center of the City. Shopping (i.e., La Encantada outdoor mall) and Theatres are within a couple of miles in the Foothills Region. 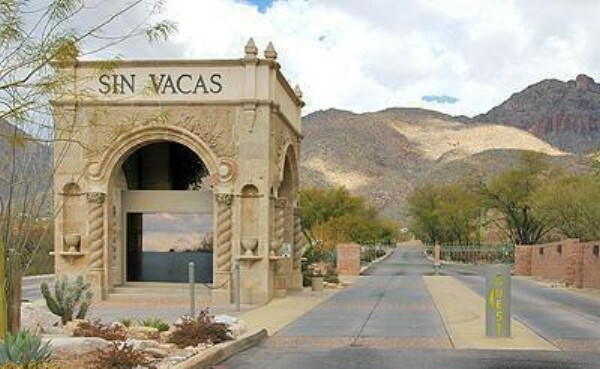 When you pass through the Main Gate of Rancho Sin Vacas, you'll feel like you are driving along a beautifully groomed Desert Parkway. With seven miles of paved roads behind the Gate, winding and twisting along dry washes and landscaped Desert gardens, which are carved from the Foothills of the Santa Catalina Mountains, you'll remain entranced by the beauty of the area. You'll enjoy walking and bicycling safely, admiring the high desert plants and wildlife.